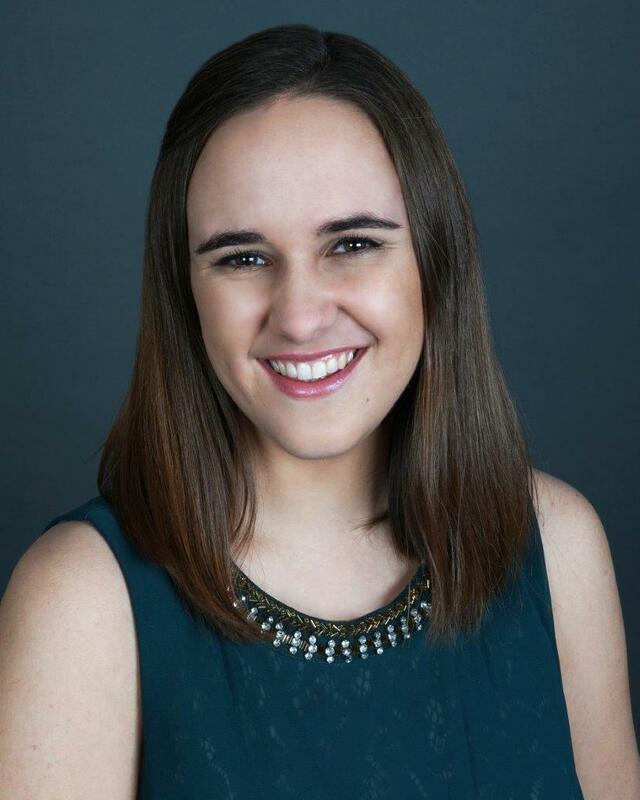 Sunderman Spotlight: Carolyn Kirsch | The Gettysburgian. The most important part of my conservatory experience has been working with other musicians. I not only count my professors among those who have instructed me, but also the students that I have worked with in the Gettysburg College Choir, in Opera Workshop, in music classes, and in rehearsals for my recital. The students of this conservatory are eager to support each other, and part of their support has involved helping me learn more about music and helping me become a better musician. I am not pursuing a career of performing music, but my Conservatory experience will certainly impact my future job because music is an important aspect of it. I have accepted a position as a full-time campus missionary with DiscipleMakers, a college ministry organization that reaches students in Pennsylvania. DiscipleMakers aims to help students who know Jesus to know him better, and invites those who do not know him to investigate who he is. One of the ways we praise him together is through worship music, so music will still be a big part of my life! My recital focuses on the poetry that each composer has set for each piece. As a double-major with English Literature, I have enjoyed interpreting these poems and working to express them through singing. These poems come from both male and female poets, and my recital program includes composers from Italy, France, Germany, and America. I am very grateful for the musicians who will be performing with me, including Dr. Scott Crowne, Abi Heydenburg, Tess Fernald, and Nicole Densmoor. Learn as much as you can about your instrument and how to practice well. That definitely means going to studio classes and master classes as much as possible, but it also means being humble enough to ask your applied instructor how to practice well. They will be glad you asked! 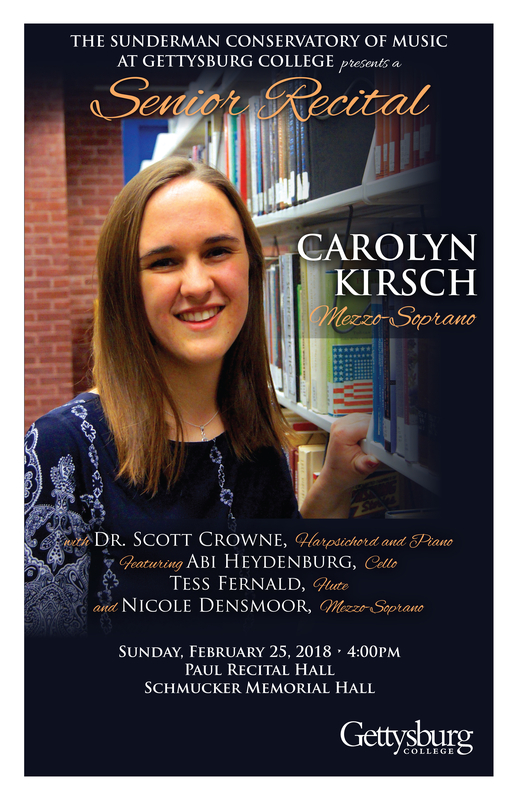 Carolyn Kirsch’s Senior recital is on Sunday, February 25th at 4:00pm in Paul Recital Hall, Schmucker Hall.